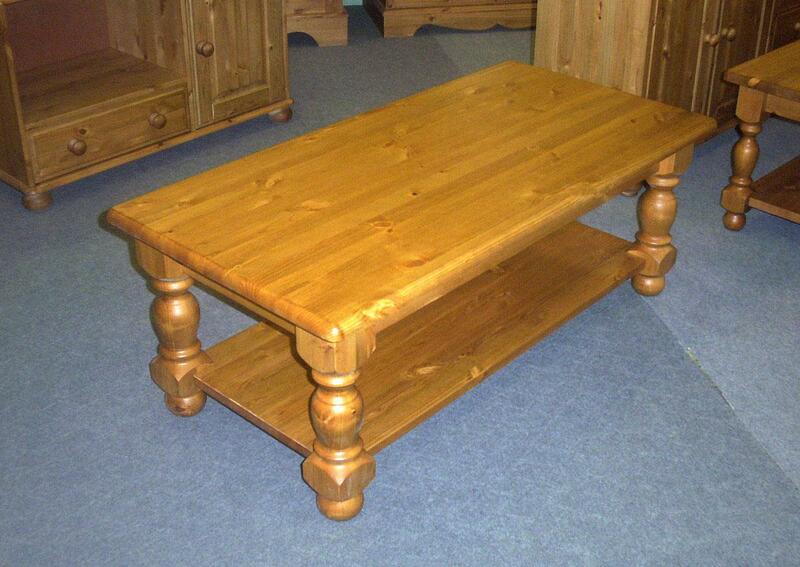 Solid pine farmhouse coffee tables, hand built and hand finished here in our own workshop. A sturdy coffee table that would look great in any living room. Solid pine, built to last, with a finish that highlights the natural beauty present in the wood itself. Turned legs, thick top, and bun feet. Available in a range of sizes.